If we’re indulging in sweet treats, we’d probably pick cookies or cupcakes over pie. However, we’re a lot more amenable to savory pies. We love the way a nice flaky crust pairs with cheese, vegetables, and other ingredients. 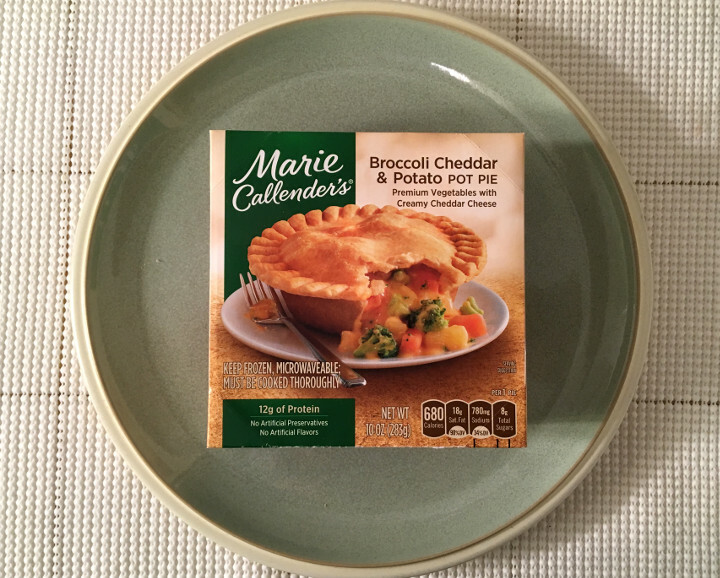 The Marie Callender’s Broccoli Cheddar & Potato Pot Pie seemed like it was right up our alley. 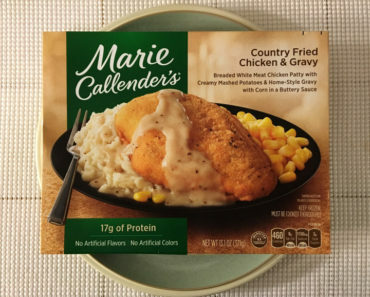 If you choose to make this in the microwave (which we did), you’ll be cooking the pie right in the box. All you have to do is tear off the top of the package before you heat it up. According to the instructions, you can get a flakier crust by cooking this pie in the oven. However, we thought that our microwaved crust was still pretty flaky! 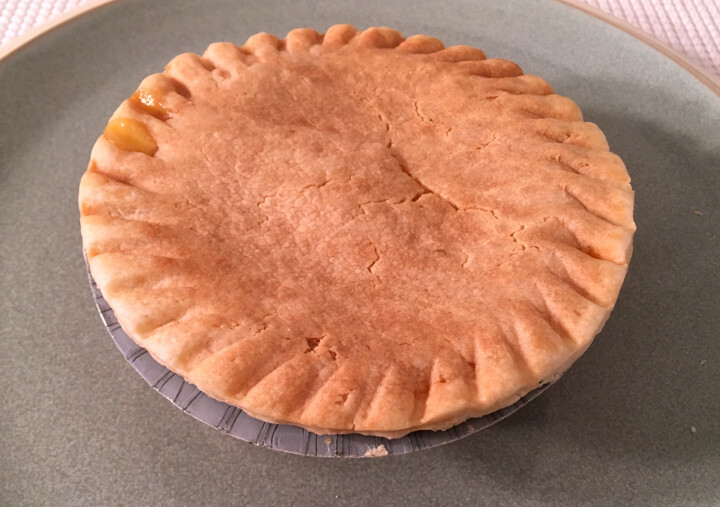 Our pie looked neat and tidy when it was still in its tray, but once we sliced it open, food began to cascade from the crust. This pie is stuffed with filling, and it makes for a messy meal. Make sure you have napkins on hand before you dig in! As you can probably tell from the image above, the cheese sauce has a Velveeta-like quality. 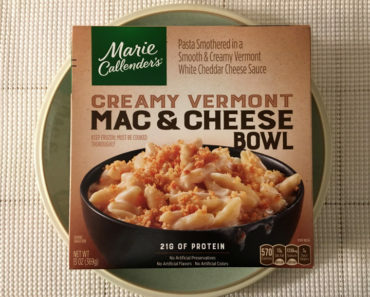 That’s not a big problem for us — we enjoy Velveeta Shells & Cheese on occasion — but if you’re hoping for a home cooked meal, this is going to disappoint you. The pie is loaded with veggies, but they don’t taste all that fresh, and the crust has a slightly sweet flavor that reminds us of a pastry. Healthy dining this is not! To make matters worse, this pie clocks in at a whopping 680 calories. That’s a lot of calories in a single meal, and we’re not sure this pie is good enough to justify that. 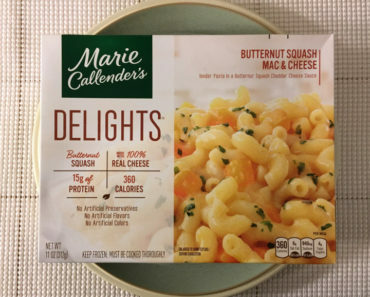 If we’re going to indulge, we’d prefer a giant bowl of mac & cheese or a delicious cheese-stuffed pizza, not a pie filled with cheese-like sauce. 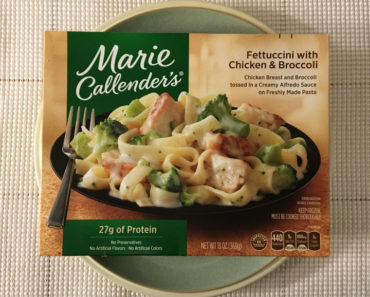 If you’re not worried about calories, the Marie Callender’s Broccoli Cheddar & Potato Pot Pie is a perfectly fine meal. If you’re watching what you eat, however, you can find meals that give you more for your calories. 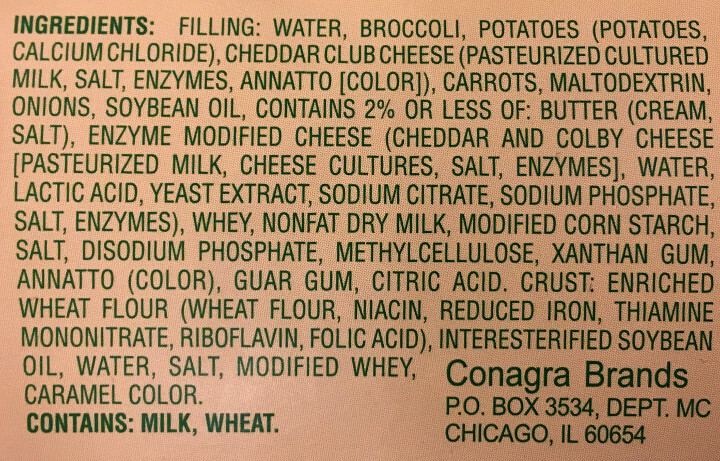 Unless you’re a massive fan of Velveeta-style cheese, we’d recommend avoiding this pot pie. 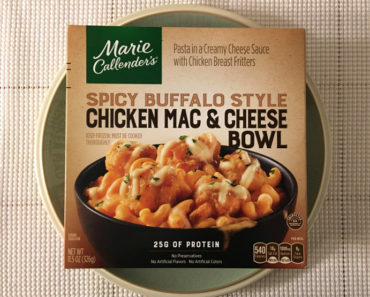 To learn more about the cooking instructions, ingredients, or nutrition content for this Marie Callender’s frozen pot pie, check out our package scans below.